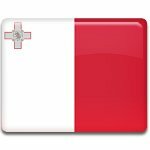 Republic Day is a public holiday in Malta celebrated on December 13. It commemorates the establishment of Malta as a republic in 1974. 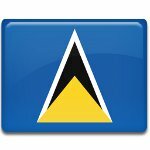 National Day of Saint Lucia is celebrated on December 12. 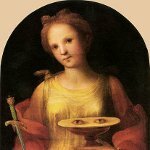 It is the feast day of Saint Lucy (Lucia) of Syracuse, who is the patron saint of the island. December 13 is St. Lucy's Day, the fest that honors martyr Lucia of Syracuse. The feast is celebrated in some regions of Italy, but it gained special recognition in Finland and Scandinavia. 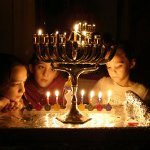 Hanukkah, also transliterated as Chanukah, is a Jewish eight-day festival of lights that starts on the 25th day of the month of Kislev. It commemorates the re-dedication of the Second Temple in Jerusalem during the Maccabean Revolt, following Judah Maccabee’s victory over the Seleucids. 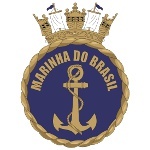 Brazilian Sailor's Day (Dia do Marinheiro) is celebrated on December 13. The holiday was established to honor Joaquim Marques Lisboa, who was the first Brazilian native Admiral in the Brazilian Navy. Nusantara Day is an official Indonesian observance held on December 13 every year. It commemorates the adoption of the Djuanda Declaration of 1957, which made Indonesia the world’s first archipelagic state. Nanking Massacre Memorial Day is an annual remembrance day observed in China on December 13 each year. It honors those who were killed during one of the most tragic and shocking episodes of the Second Sino-Japanese War. 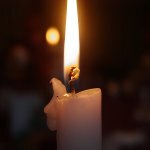 Martial Law Victims Remembrance Day (Dzień Pamięci Ofiar Stanu Wojennego) is observed in Poland on December 13 each year. It was officially declared by a resolution of Sejm in 2002. Like other holidays declared by parliamentary resolution in Poland, it is a working day. 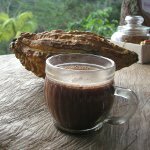 The National Cocoa Day is celebrated on December 13. This food day is a perfect occasion to indulge yourself with a cup of hot cocoa or some chocolate confections. 2014 At least 56 people were killed by the landslides caused by heavy rain in Java, Indonesia. 2011 6 people were killed and 125 wounded by a 33-year-old Nordine Amrani in the city of Liège, Belgium. Amrani attacked people at a Christmas market before committing suicide. 2006 Died: Lamar Hunt, American sportsman and promoter of various games in the United States. He was the principal founder of the American Football League and Major League Soccer. 2003 Former President of Iraq Saddam Hussein was captured near his home town of Tikrit. 2002 The EU announced, that 10 more countries would become members of the Union on May 1, 2004. These were Cyprus, the Czech Republic, Hungary, Estonia, Latvia, Lithuania, Poland, Malta, Slovakia and Slovenia. 1989 Born: Taylor Swift, American singer, songwriter and actress. She established herself as one of the best-selling artists of all time. 1986 Died: Heather Angel, English actress. She was a well-known actress in the UK and built a career in the USA. She collaborated with Walt Disney and provided voice for his animated films Alice in Wonderland and Peter Pan. 1981 Born: Amy Lee, American singer, songwriter, co-founder and leading vocalist of the rock band Evanescence. 1972 Eugene Cernan and Harrison Schmitt began the third and final extra-vehicular activity or Moonwalk of Apollo 17. They are the last humans to set foot on the Moon to date. 1967 Born: Jamie Foxx, American actor, writer and producer. Foxx is well known for the roles in Django Unchained and The Amazing Spider-Man 2. 1961 Died: Anna Mary Robertson Moses, better known by her nickname Grandma Moses, a renowned American folk artist. She began painting at the age of 78 and she became an example of an individual successfully beginning career in the arts at an advanced age. 1960 The Imperial Bodyguard Kebur Zabagna of Emperor Haile Selassie of Ethiopia seized the capital, while Emperor visited Brazil. He proclaimed himself Emperor and deposed Selassie's son Crown Prince Asfa Wossen. 1955 Died: António Egas Moniz, Portuguese psychiatrist and neurosurgeon. He developed the cerebral angiography and was one of the founders of modern psychosurgery. He is best known for development of surgical procedure lobotomy, that won him the Nobel Prize in Physiology or Medicine in 1949. 1937 The city of Nanjing defended by the National Revolutionary Army fell to the Japanese during the Second Sino-Japanese War. This led to the Nanjing Massacre, in which the Japanese troops raped and murdered hundreds of thousands civilians. 1935 Died: Victor Grignard, French chemist. In 1912 he was awarded the Nobel Prize in Chemistry for devising a new method for generating carbon-carbon bonds using magnesium to couple ketones and alkyl halides. 1934 Died: Thomas A. Watson, American inventor. He was an assistant to Alexander Graham Bell, notably in the invention of the telephone in 1876. 1930 Died: Fritz Pregl, Slovenian-Austrian chemist and physician, remembered for his important contributions to quantitative organic microanalysis. He was awarded the Nobel Prize in Chemistry for this work in 1923. 1923 Born: Philip Warren Anderson, American physicist, known for his investigations into the electronic structure of magnetic and disordered systems. This work brought him the Nobel Prize in Physics in 1977. 1911 Born: Trygve Haavelmo, Norwegian economist, an influential figure of his time. In 1989 he was awarded the Novel Memorial Prize in Economic Sciences for his clarification of the probability theory foundations of econometrics and his analyses of simultaneous economic structures. 1888 Born: Werner von Siemens, German inventor and industrialist, the founder of the electrical and telecommunications company Siemens AG. 1887 Born: George Pólya, Hungarian mathematician, professor of mathematics from 1940 to 1953 at Standford University. He is known for his fundamental contributions to combinatorics, number theory, numerical analysis and probability theory. 1818 Born: Mary Todd Lincoln, First Lady of the United States, wife of the 16th President of the USA Abraham Lincoln. She supported her husband throughout his presidency and witnessed his fatal shooting at Ford's Theater in Washington. 1797 Born: Heinrich Heine, German poet, journalist and critic, a well-known person outside Germany for his early lyric poetry, that was set to music by Robert Schumann and Franz Schubert. 1784 Died: Samuel Johnson, English author, remembered for his lasting contributions to English literature. He is described as arguably the most distinguished man of letters in English history. He is famous for his ten-volume collection of biographies Lives of the Most Eminent English Poets. 1769 The Reverend Eleazar Wheelock founded Dartmouth College on land donated by Royal governor John Wentworth. 1758 The English transport ship Duke William sank in the North Atlantic. Over 360 people were killed. 1720 Born: Carlo Gozzi, Italian playwright. He is best known as the author of the plays based on fairy tales, including The Love for Three Oranges. 1642 The Dutch seafarer Abel Tasman reached the shores of New Zealand. 1565 Died: Conrad Gessner, Swiss naturalist and bibliographer, a well-known botanist, physician and linguist. His five-volume Historiae animalium is considered to be the beginning of modern zoology. 1466 Died: Donato di Niccolò di Betto Bardi, better known as Donatello, Italian sculptor. He is known for his work in bas-relief, a form of a shallow relief sculpture.